Sleigh, star, snow, stocking. Can you put these Christmas words in alphabetical order? 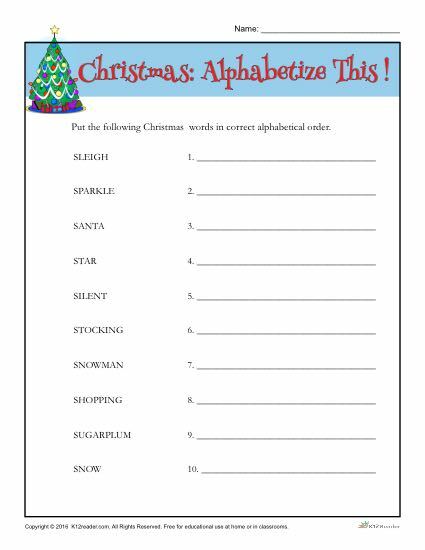 With this fun holiday activity, students will be asked to rewrite the list of words given in their alphabetical order. This worksheet is great for 2nd-4th Grade, but can be used where appropriate.